Jack London said that; says so right here in the visitor guide. 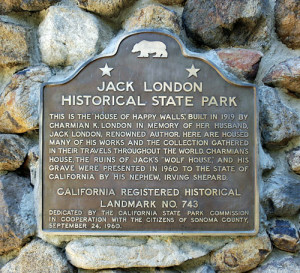 We are at the Jack London State Historic Park, admiring how the man, who died early at forty, truly lived his beliefs. refreshed, is to drive to Sonoma and hike Bartholomew Park, the former home of Count Agoston Haraszthy. Try as we may, none of us can pronounce his name but we are vaguely aware of his role as the father of modern viticulture in California. After our hike it’s off to explore the Sonoma Mission, the last and northernmost of the Spanish missions. California history can be seen all around you if you know where to look. 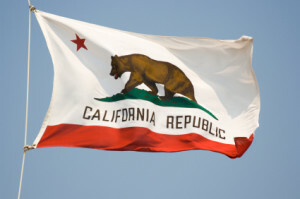 For instance, the state flag that’s flying over the bar we’re sitting in is a nod to the Bear Flag Revolt of 1846. The story has it that a ragtag band of Americans seized what is now the town of Sonoma from the Mexican government. Not a shot was fired so . . . more of a kerfuffle than a revolt.